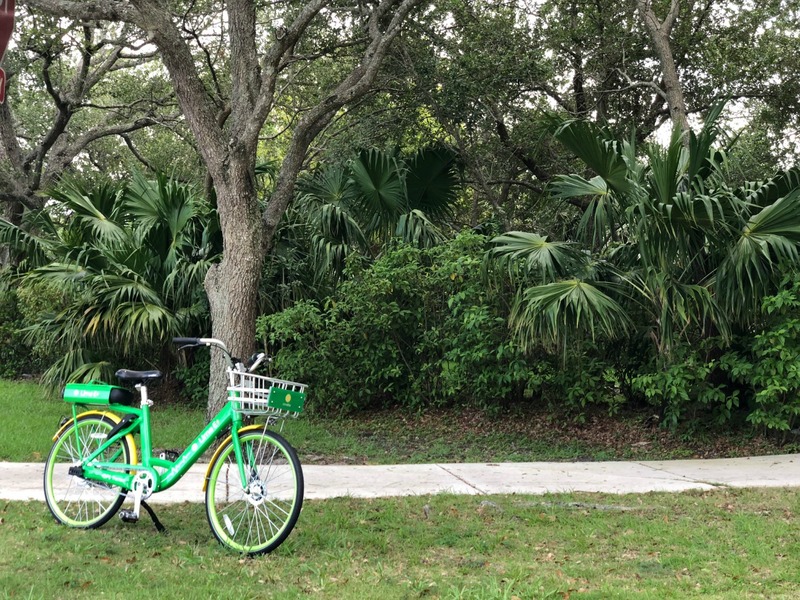 What the heck is a LimeBike? I was driving a few months ago and saw a bright green and yellow bike parked on a grassy corner by itself. It didn't appear to have a lock or anything else on it. Although I don't think it's common for bikes to get stolen in Miami, I was worried that the person that parked it there would lose it. The very next day I saw the bike parked in exactly the same place. I was shocked it was still there. Over the next few days, I started noticing more and more of these bikes parked everywhere. It was the strangest thing. Sometimes I saw a few of them were parked together. Almost like they were a family. It didn't seem like thieves were interested at all in these bikes. I started to become intrigued by these randomly placed "LimeBikes." I figured if I was, there was a chance that some of you were too. So I decided to do some research on these bikes on share what I learned with you. 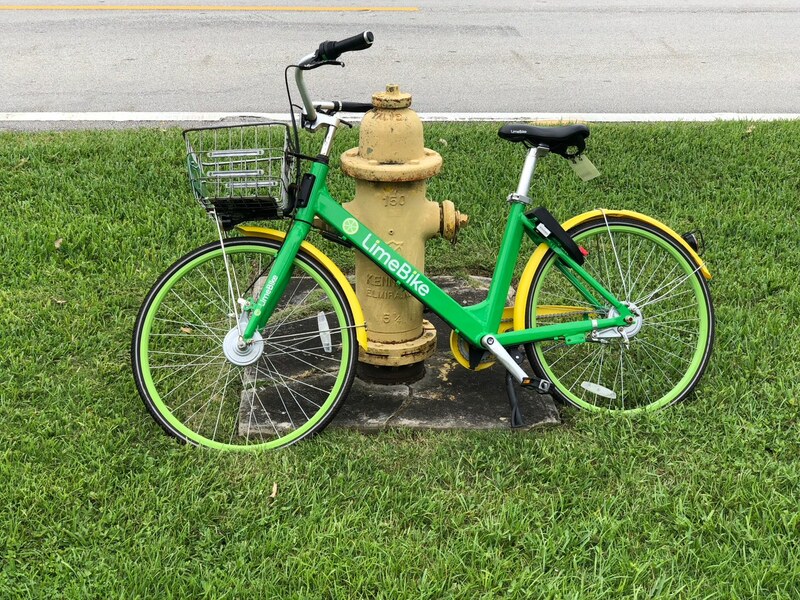 As it turns out, I'm not the only one that was sort of confused by seeing these stray bikes all over the place, mostly in West Kendall, South Miami, Pinecrest, and other parts of Miami. 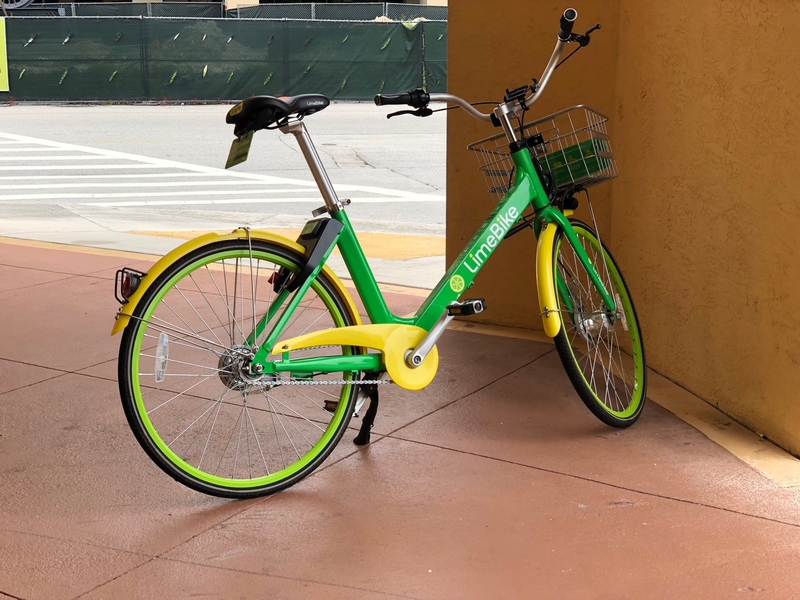 This was done purposely to draw attention and create a buzz by a California-based startup company called LimeBike. 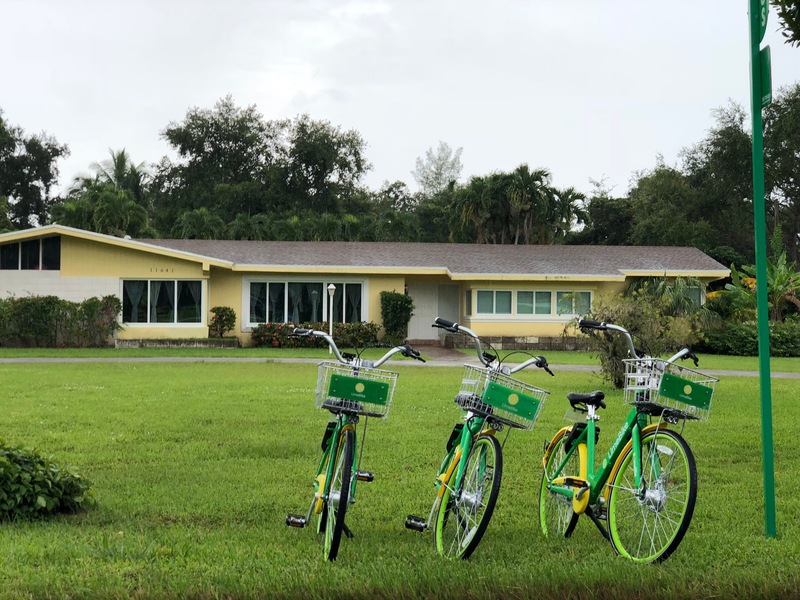 The bikes first appeared in Key Biscayne last June and are now all over South Florida. Below are some commonly asked questions and answers. How can I ride one of these crazy looking bikes? There's an iPhone app and Android app that you can download that will show you where the bikes are, make a payment to the rent the bikes, find out where to park them, and numerous other things. It's very inexpensive. It only costs $1 per 30 minutes of rental time. How come the bikes don't get stolen? There's a red lock by the rear wheel that locks up the bike. It's really easy to turn on. Another reason they don't get stolen is that the parts from the bike don't fit on any other bicycle. 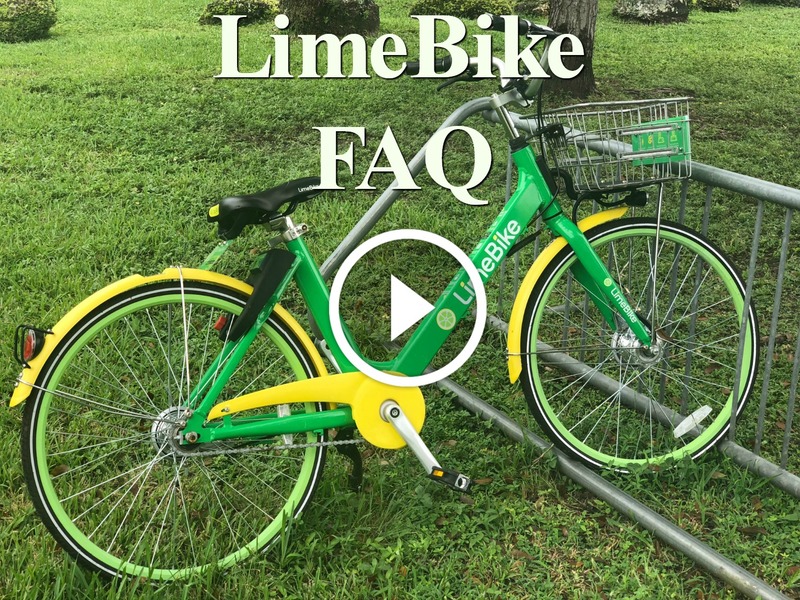 Below is a video gives you a much better understanding of the LimeBike.